How BPM Software delivers value to your business. Different organizations “do” Business Process Management in different ways. It is possible to use basic business applications like Microsoft Excel and Powerpoint for modeling, but it is time-consuming, labor-intensive, and lacks consistency across functional units, meaning it is not scalable. BPM Software, also called a “BPM Tool” or a “BPM Suite”, and its more advanced cousin BPA (Business Process Analysis) Software, like Signavio mitigate the challenges faced by ad hoc BPM practitioners, by providing leadership teams, process owners, and modelers, and business users technology to effectively amplify benefits across processes, functional units, and entire organizations. 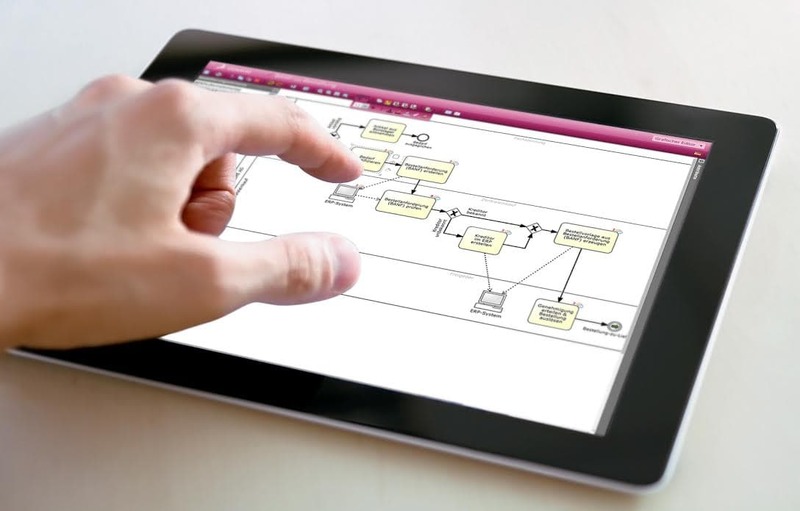 BPM Software is not simply about drawing flowcharts and process maps, though – Business Process Management Software like Signavio support the whole process of Business Process Management and CIP (Continuous Improvement Process) to boost BPM and business responsiveness and flexibility in changeable times, by supporting communication and collaboration. BPM Software helps businesses do BPM better, for better business results and customer-centricity. BPM Software significantly lowers the barriers to increasing process performance, compliance, and seizing opportunities for innovation by allowing organizations to optimize and streamline the way they manage their processes and improvement initiatives. By positioning organizations to “do what they do better”, to react to change with agility, and precisely align strategy with execution for market success, BPM Software can support operations across an entire Enterprise. How does business create value? By definition, processes are a vehicle of transformation. Inputs enter a process, move through a series of activities, and exit the process as an output – preferably a higher value output. 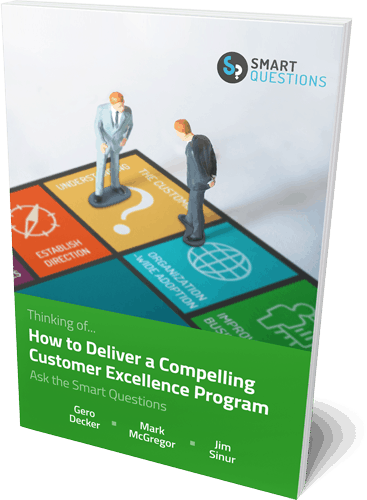 The higher value the output (being good, service, or something more qualitative like customer experience), the more successfully an organization can differentiate and compete in the market. Showing how they create value, monitoring the quality of that value, and actively seeking out opportunities to increase the value of their products and services, while at the same time reducing waste/costs/risk is at the heart of business. How does Business Process Management create value for business? BPM’s core value comes from its ability to break processes down into their constituent tasks and activities, transparently and clearly showing exactly how a product or service transforms as it moves through the process sequence. Once an organization has a clear picture of how it produces its value/products, it can strategically prioritize and identify opportunities for improvement to produce greater value and growth. What industries can BPM be applied to? Business Process Management can be implemented across any industry or process, from core Finance & Accounting processes like Order-2-Cash or Procure-2-Pay, to Customer Journey Mapping. Whatever the context or vertical, the purpose of BPM remains the same – taking inputs and effectively creating a higher value output, a concept which is entirely vertical-agnostic. BPM empowers organizations to manage and ‘do’ their business processes better, as key business success attributes are built into the discipline. Boosting transparency, communication, and engagement across the business and thereby performance is what BPM is about. Why would I invest in BPM Software when I already have Excel? Because BPM Software is specially designed to support the CIP (Continuous Improvement Process). CIP creates a positive feedback loop (analysis, design, transformation/action, monitoring/measurement), supporting efficiency and evolution. It amplifies the impact of your BPM efforts, resulting in more effective implementation, and a larger share of benefits. BPM Software solutions like the Signavio Business Transformation Suite (Signavio Process Manager integrates with Signavio Process Intelligence and Signavio Workflow Accelerator to create a powerful unified impact) include robust and intuitive social media sharing and collaboration functionality. This means the communication of improvements to relevant stakeholders, and gathering feedback and contributions from the people “on the shop floor” is fast and effective. BPM Software helps businesses do BPM better, for better business results. Demands on Business Process Management Software are high. Software should enable decentralized process documentation, be compatible with entire IT systems, and be user-friendly. Risk management also plays a crucial role. Changing regulations at department, enterprise, national, and international scales make the documentation and rapid communication of change essential not just for optimized performance, but the avoidance of significant liability. Internal processes, such as onboarding new employees, can also be made more efficient using the right BPM Software. People are your organization’s greatest resource, so it is troubling that the number one reason BPM and Change projects fail is a lack of communication. Communication goes in both directions – both to communicate the value and “what’s in it for me” information to gain acceptance from users and the wider organization, and feedback and suggestions on Change procedure validity. When it comes to BPM Software, a tool must be able to facilitate this two-way communication, allowing stakeholders to contribute their valuable organizational knowledge, and have their suggestions and feedback heard. BPM Software allows you to capitalize on your greatest resource (your people) and facilitate communication and buy-in throughout your business.